For those who don’t live in particularly wet areas, the concept of flooding is only really threatening when it’s submerging houses and turning freeways into rivers. We know better, though. The water level doesn’t need to be twenty feet high to cause immense damage to the home. In fact, only a little bit of water damage in the right place can cost thousands of dollars to repair. That’s why so many people make use of sump pumps to keep the more vulnerable areas of the home safe. If you’re not sure whether or not you could benefit from using a sump pump, read on. We may not have to worry about many hurricanes in Illinois, but we’re no strangers to heavy rains and subsequent flood waters. 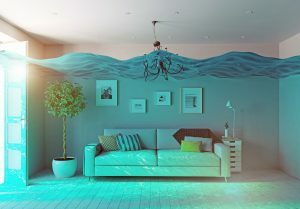 If you’ve lived in the area for any length of time, you probably also know that your house doesn’t have to be completely submerged to suffer terrible water damage. Even some minor storm runoff that becomes trapped in the wrong area of the home can cause immense damage if left alone for long enough. That’s why it’s a good idea to have a sump pump. 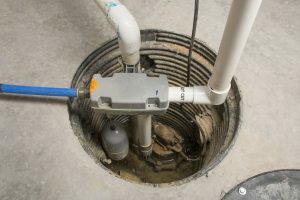 Read on to find out more about sump pumps, what they do, and why you should probably have one installed somewhere in your home.